BlueSky Personnel Solutions is a leading Toronto-based, full-service employment agency. We have a comprehensive range of integrated Human Resource and recruitment solutions for office, administrative, and management environments. 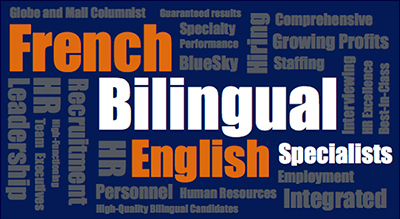 We also have a bilingual/French staffing specialty — offering you highly-qualified bilingual candidates. Nadine Chang, CPA Professional Liability Plan Inc.
Brian Brown, School Board’s Co-Operative Inc.
Alex Perez, Givex Canada Corp.
Sara Cromwell, Abell Pest Control Inc.
We have a long-standing reputation for delivering effective and affordable recruitment and HR solutions. We operate discretely, professionally, and efficiently — every time — and and we’ve been doing so since 2001! 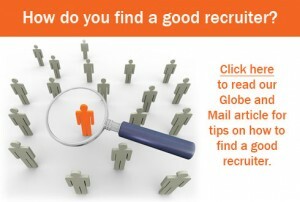 We are also regularly called upon by media to offer insights into the hiring process. Guaranteed satisfaction with 24/7 support; A maximum one-hour follow-up response to all requests, and; Guaranteed work performance satisfaction. For all your recruitment and HR needs, call or email us today! Please click here to view BlueSky Personnel Solution’s Multi-Year Accessibility Plan.